The “Alaska Treatment-Free Beekeeping Symposium 2019 V” event is being held at; “The Glenn Massay Theater” http://www.glennmassaytheater.com/ , at the Matanuska Susitna Collage, on January 12th 2019, 8:00 A.M. to 7:00 P.M. Mat-Su Collage is located at 8295 College Dr, Palmer, AK 99645. http://matsu.alaska.edu/ Doors will be open at 8:00 A.M. for walk-in registration, and check-in. Symposium begins at 9:00 A.M., ends 7:00 P.M. If you or someone you know is a beekeeping educator, and you feel they might make a good speaker for the event, please contact me to initiate it. Click here for Event Schedule. 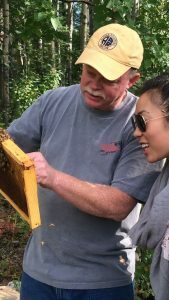 Alaska Treatment-Free Beekeeping Symposium 2019 V Event Schedule, Schedule, and speaker line up subject to change due to circumstances or weather. Symposium brought to you by Alaska Honey Bee Products. To pre-register email klm@gci.net, or call 907-242-0588. Scroll down for registration details. My primary focus in my apiary is in breeding queen bees, along with honey production, and overwintered nucleus colonies. Managing 200 colonies for honey production and 250 nucleus colonies. I have grown my apiary form the ground up based on a paradigm that does not require the use of chemical inputs of any kind. In the beginning, with a tight budget. I was hard pressed to source good queens that winter well and have a high tolerance to varroa mites. 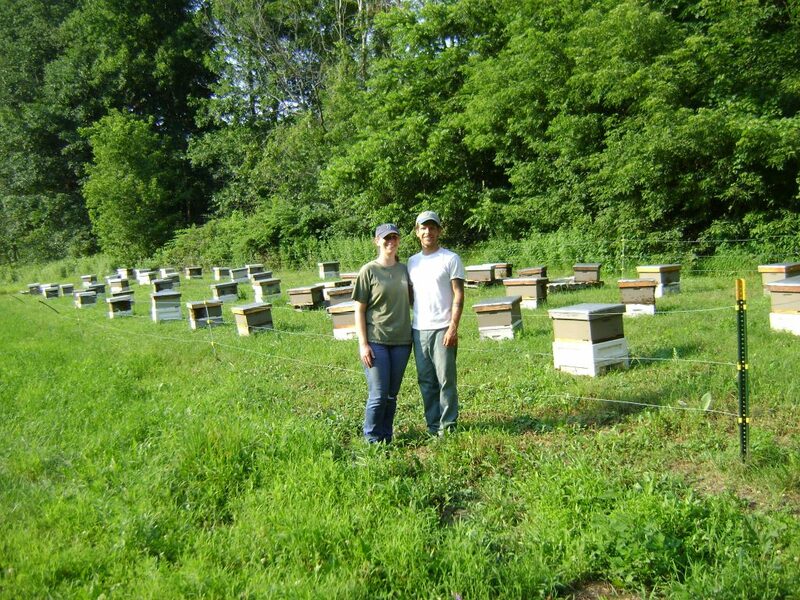 Learning how to raise my own queens and growing the apiary all from within it own means has been my primary teacher. I will share with you my experience in raising good queens and my seasonal management to produce a honey crop and make up next seasons replacement bees and nucleus colonies to sell. Sean keeps his bees in the interior of Alaska in the Fairbanks area. 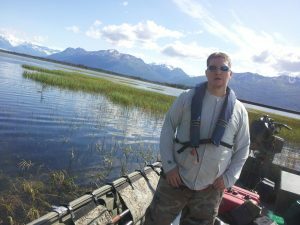 Sean will give Presentation on his successes, and failures Keeping, and wintering Honey Bees in extreme weather of interior Alaska. L. Hay is a fourth year Beekeeper who recently surveyed beekeepers about overwintering their hives North of the Alaska Range in order to gather data on the topic. She’ll present the results of that survey and additional related information at the symposium. 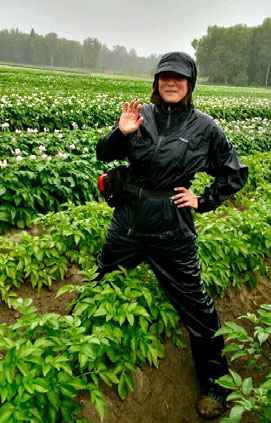 Ms. Hay owns Happy Creek Farm through which she keeps her hives and chickens; and grows peonies, haskap berries and vegetables that are sold in Fairbanks and other areas. In her spare time Ms. Hay is a psychotherapist in private practice working to rehabilitate violent offenders and providing therapy to clients who suffer from complex PTSD and related issues. Will Speak on; Queen Rearing for the Hobbyist? 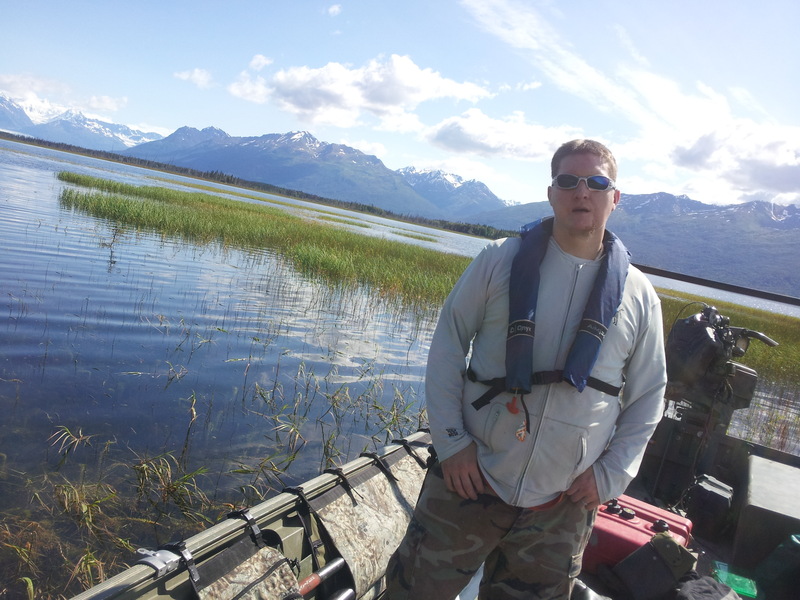 Michael is an engineer in Anchorage and has been keeping bees for 8 years. Over the years he has struggled to overwinter his bees and has experienced the severe losses compounded by the Varroa Mite. To improve his bee’s survival rate, Michael has created his own nucleus colonies and populated them with overwintering queens brought in from northern suppliers like Kirk Webster, Michael Palmer, and Troy Hall. For the past four years he has also been using his own survival stock to raise queens and make nucleus hives for sale and personal use. He has been working to simplify and streamline queen rearing techniques to make them practical for the hobbyist beekeeper so that anyone can easily produce their own hardy survivor stock. I am a 8th year beekeeper, currently using Paradise Honey polystyrene hives. Last winter, I experienced my 1st winter losses in 3 years due to Nosema but mainly triggered to the bees having really dark honey as their winter stores (Honeydew Honey). This was a new experience for me. I limit my hive treatment to OAV (Oxalic Acid Vapourization) when I 1st get new nucs to ensure the mites are knocked out early and some essential oil and natural extracts. I live with my wife, dog and chickens on a small piece of land, approximately 40km from Whitehorse, Yukon. It is located in native “alpine-ish” Boreal Forest with some native Yukon grasslands in the area. This habitat offers great spring to early summer forage in abundance (willow, prairie crocus, soapberries, beard-tongue, kinnikinnick, lingonberries, Labrador tea and alpine vetch to name a few), and our roadside has abundant dandelion. 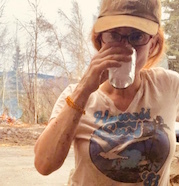 However, my main nectar flow relies almost exclusively on fireweed. I have also been introducing clovers, phacelia and sainfoin to my property to increase the number of frost tolerant forage. Mia has been with the Division for 11 years, providing inspection and certification services for various agricultural producers and products throughout the state. Mia has worked with the bee community and industry on the import requirements and recently, on the coordination of the National Honey Bee Disease and Pest Survey. In 2018, Alaska beekeepers participated in this pilot survey, which included a molecular and visual analyses of existing and exotic pathogens and parasites as well as testing for 200 known pesticides. Mia will give a discussion on the survey protocols, 2018 results and discuss how beekeepers can participate in the future surveys. 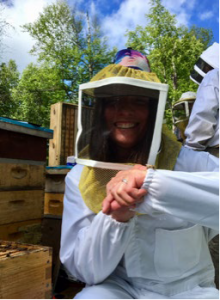 She will also discuss the AK Division of Agriculture’s role in protecting bee health by reviewing the import regulations affecting bees and equipment. Will give a short presentaion on fool proof spring feeding, and for the newer beekeepers describe hive components, Styrofoam, and wooden hives. Purchase of admission pre-registration to 2019 Symposium entitles buyer to 7% discount off purchase of package bees, (except for early bird package bee price) for the 2019 season from “Alaska Honey Bee“. 10 percent discount for Vets, Seniors (55 years or older), Students, and Beekeeping Clubs & Association Members. Can accept checks, cash, and credit cards at the door. There will be an additional charge of $5.00 added to credit card payments per each registration to cover credit card service fees through https://squareup.com. Vendor registration; Price $140.00, no discounts for business’s, includes a space limited to ten feet wide, and Event registration for two people. Vendors must be pre-approved, and pre-registered prior to this Event. All Vendor employees must also be registered for the Symposium that attend. Vendor registration fee must be paid prior to the Symposium. Vendors must have a current Alaska Business License.